POWERBREEZE® is a high-tech microfabric system designed to provide maximum airflow and excellent breathability of every product it is used in. Additionally, it ensures temperature regulation, so you won’t overheat, no matter how hard your work is. Every person has 2 to 5 millions sweat glands located in the whole body and 250,000 located in the feet alone. Most of them are on the inner side of our feet and hands. Furthermore, they are much larger than on the other parts of our body. All these statistics are the reason why POWERBREEZE® has included, among others qualities, a superior sweat removal system. Thus, our technology makes all garments highly adaptable to any condition. POWERBREEZE® provides total comfort when wearing any footwear and clothes. The technology is a result of a unique equation, made of a number of elements combining breathability, airflow and sweat elimination systems. During every activity, body gives out a lot of energy. Approximately 80% of it turns into heat which has to be removed to avoid overheating. Throughout a usual, daily activity, that doesn’t involve physical work, in 30 minutes we produce enough heat to boil 2 liters of water. Due to this, a system in your clothing and footwear, providing ventilation and breathability, is essential. We made it our mission to make sure that our technology gives the best results in the industry. POWERBREEZE® is a completely new type of breathable system, that has never been used before in such an advanced form, especially in the shoe industry. Our technology keeps your feet completely dry and gives a boost to a perspiration management in any kind of activity. It guarantees the highest level of breathability and an ideal air circulation whatever you do. In normal conditions, our feet produce about 20 liters of sweat per year. In extreme conditions, this amount significantly increases. During a very active day our body is able to sweat out more than 4 liters. These statistics inspired us to create POWERBREEZE® – the technology that eliminates moisture gathered inside your shoes and lets it freely pass through the material and turn to vapor. Wearing clothes and shoes should not just be a necessity but bring full pleasure to your everyday activity. When the product you’re wearing is well-designed, it gives you a feeling of “second skin” and becomes something more than just a garment. POWERBREEZE® was made to adjust to your needs. It guarantees you true comfort of wearing apparel and shoes. Wherever you are and whatever you do. Where is POWERBREEZE® technology used? POWERBREEZE® is successfully implemented in work footwear as well as in sneakers or outdoor shoes. It works in the most extreme and demanding conditions where the reliability and comfort are highly desired. Find out who already uses this unique technology. Scandinavian shoe brand – the leader in safety footwear industry. It is a company with many years of experience, high quality products and an extensive distribution network. Scandinavian brand with highly advanced, patented technologies. 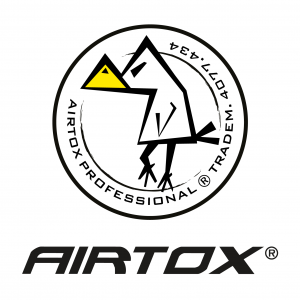 AIRTOX products are an ideal combination of the highest quality and great style. 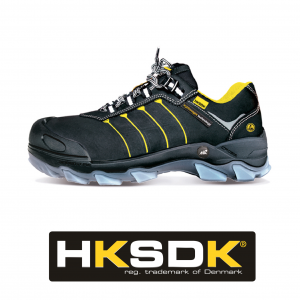 New safety shoes brand, engineered by HKSDK Company A/S. Great quality footwear supported by high technologies at a competitive price. Any questions? Let us know about them! I accept that European Tech Group A/S will use the information I provide in this form to contact me regarding my message.